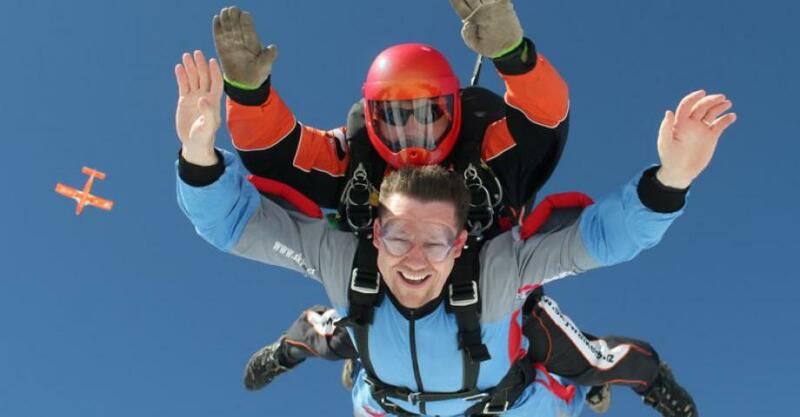 Looking for a skydiving experience near Prague? We´ve got it. Actually, everybody should try this at least once. There´s nothing like it! You´re in the plane, looking down at the landscape from the height of 4,000 metres. Then you hop out attached to the tandem pilot with your back and you´re free - falling down for one long minute at the speed of up to 124 mph (200 km/h). 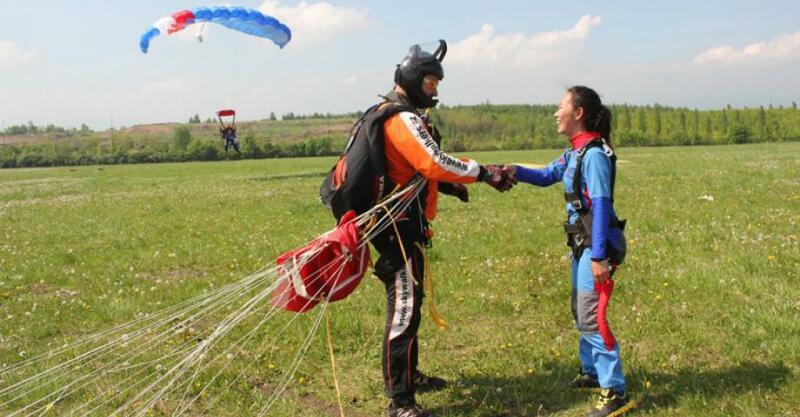 After that comes the free flight with the parachute, which lasts from 10 to 15 minutes. Then you just admire the outlook of the surroundings beneath you. The tandem pilot will even let you control the parachute, if you feel like it. Transport included in price. Go for it! It´s really worth it. Get a full refund if you cancel until 24 hours before the activity. After short briefing (jump do's and don'ts) there comes the boarding. On the plane, you are attached to your tandem pilot. 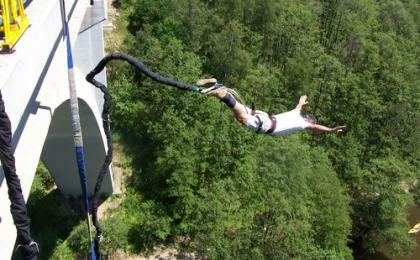 At a height of four kilometers, you jump out and fall about a minute free fall at speed up to 200 km/h. Followed by a free flight (60 seconds) with a parachute (about 6 minutes) enjoying the view and then reaching landscape below you. You can even try to control the parachute yourself. After the safe landing, you just say that you want to go again. Tandem skydiving can be performed by both adults and children. Children and teenagers under 18 years only with a parental approval. 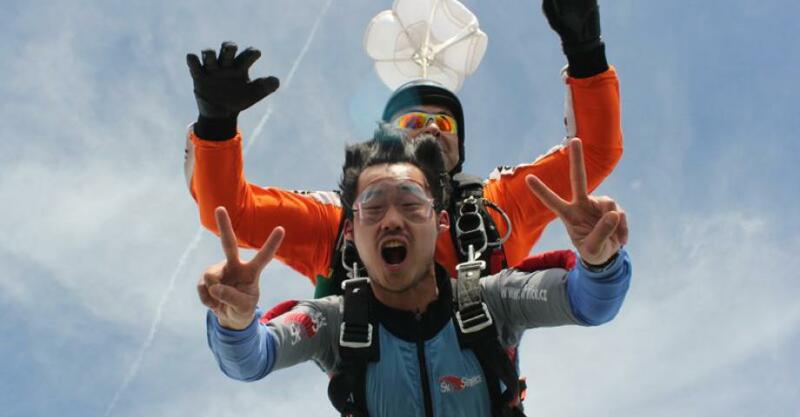 The minimal age for tandem skydiving is 8 years, minimal height is 130 cm and maximal weight is 120 kg. Jumps cannot be done on cloudy, windy and rainy days. In case of bad weather, you will be informed about a substitutive date. The entire program lasts up to four hours. 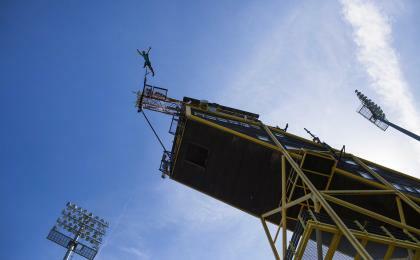 The jump itself (boarding, takeoff, jump) takes about 20 minutes. 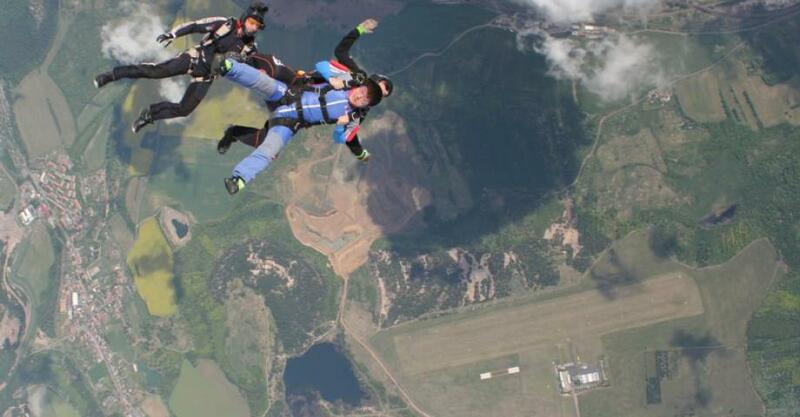 Tandem skydiving from an airplane is designed for one person only. 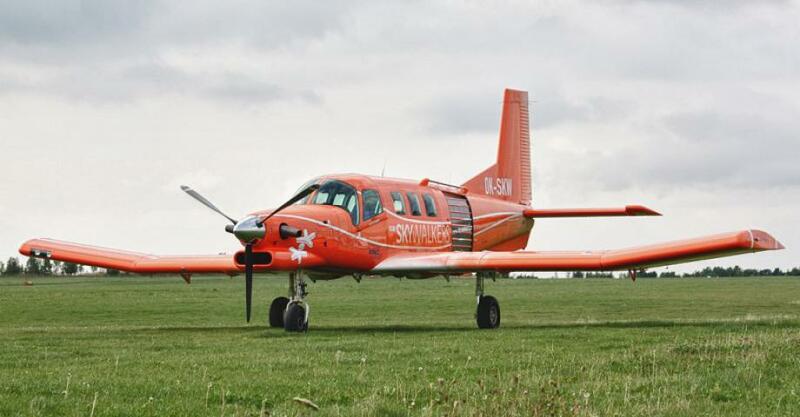 It is possible that the plane will take additional paratroopers and passengers with their instructors. Spectators are welcome and can be present in a limited space at the airfield. They can take pictures and film. 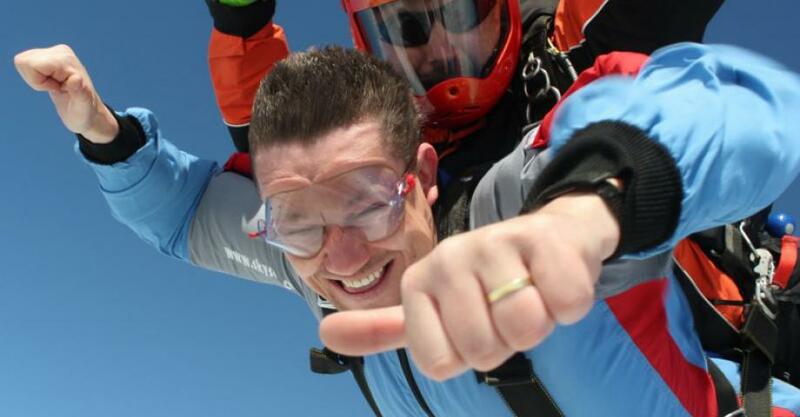 The jump is done with the rented equipment: a special suit, para glasses, hood and altimeter. It is recommended to wear tighter sports clothes and boots. Eyeglasses or contact lenses are not an obstacle. Larger jewelry, especially earrings, are advised to be left on the ground. This activity includes transport from meeting point in Old Town. See the street view here. Best way to get to the meeting point is to walk there. You can check best route on Google maps here. It takes only about few minutes.